TEMA is the market-leading software suite for advanced Motion Analysis tests. Thanks to its high accuracy, modular structure, calculation speed and intuitive user interface - TEMA is used by professionals across the globe in a wide range of Motion Analysis applications. TEMA users are able to import image sequences and automatically track any given object throughout the sequence via a set of proprietary tracking algorithms. The result is presented in predefined formats such as tables and graphs showing quantifiable values for example position, speed and acceleration over time. PFV (Photron FASTCAM Viewer) software had gained many fans over the years for its robustness, reliability and ease of operation. 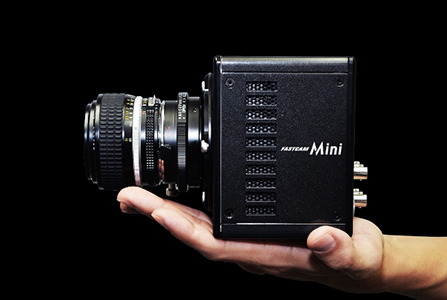 With the release of several new cameras, specifically the super-fast FASTCAM SA-Z, the compact FASTCAM Mini AX 200 and multi-head FASTCAM MH4, PFV has been given a face lift and major overhaul to improve its functionality and give it a fresh new look introducing PFV3.